You have your brand’s mission and vision clearly defined and now, looking to build a great logo, the one that captures the viewer’s attention. You might have heard that many times the simplest logos are the ones people remember the most. All set, however, the challenge arises when you try to hire a logo designer for your company. With so many options available, chances are you’d get easily overwhelmed while trying to narrow down the right logo designer for you. That is why; we’re here to make this process simple and straightforward for you. We, at Alliance Recruitment Agency, take care of all the hiring hassles for you so you can focus on the more important tasks. From recruiting, training to onboarding, we meet your expectations and support you with a wide range of needs. The best of the clients reach us as we help in solving the complex challenges of HR with utmost efficiency and pace. In our associations, we believe we are more than just a recruiting partner we are your solution finders. Our creative staff hiring and designing team, work in collaboration to give you the best fitting logo designers, graphic designers and the likes. When looking for a logo artist for hire, it is crucial to consider everything from research to onboarding a candidate as a great logo can enhance your sales and make your brand memorable. So, it is essential that you have a team with some amazing logo makers. We act as the best filters as we check the below points and more to bring you the best and bright talent. As much as a resume is important to understand a potential candidate’s skill ,so is a logo designer’s portfolio. If a public portfolio isn’t available, ask them to share one. Any logo designer who has worked for a considerable amount of time will be happy to share their portfolio for you to look at it. By looking at their portfolios and past projects, you can get a glimpse into their designing style and expertise. If it fits with your project, then you can get on board assuredly. Though not taught, creativity is an invaluable skill as it decides how well your logo can stand out from the crowd. Therefore, when you look at the logo designer’s past projects you might want to take a closer look at their creativity in simple yet effective designs. Another good tip would be to discuss their ideas for the project you’re looking for. This way, it saves your time and money to understand if a resource fits in with your idea. With an employee as a logo designer, you might enjoy more interactions than any other designing staff,since there would be exchange of ideas, approvals, advice and suggestions. Therefore, a logo designer’s personality really decides how productive your interactions can be. This is also an important factor to look at when you want to hire freelance logo designer, as ignoring this step can cause turmoil when interacting with a freelance logo designer over a call or an email. This is something, you cannot know from their portfolio or resume. Therefore, we gauge their personality carefully before they meet up with you. 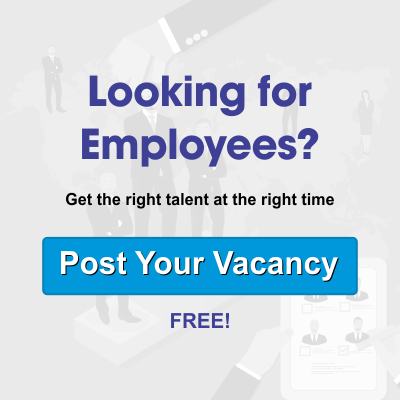 We conduct a strong filter process so we can save your time and get you a team of compatible candidates as we understand that these personal qualities can make a huge difference. Last but not the least, having a clear idea about your logo and what you want can make all the difference because no one understands your business as much as you do. Along with some creative freedom and clear instructions, we can create a unified experience throughout the logo design process and this can help us match your need with the resource accurately.